Witnessed with growth of industries and shifting of work culture to modern management techniques, we have seen businesses acquiring problems in managing their human resource compliances especially in metro business places like Delhi, Mumbai etc . 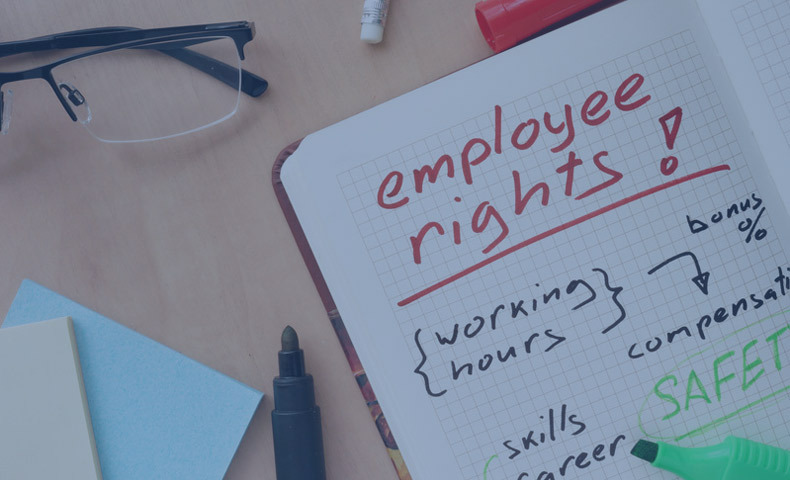 Knowing Employment and labour laws, they are meant to ascertain and regulate a lasting relationship between employer and employees dealing with each other on legal grounds, following all stated rights of labour disputes, union relations, wages and hour laws, compensation and retrenchment laws etc. As labour covers a significant subject space in concurrent list of Indian Constitution, proper handling of labour matters by each business entity is a point of concern to be reported under jurisdiction of both Centre and State government. Indian labour laws follow a distinction between people who work in organised sector and those working in the unorganised sector. These laws mandate business groups to follow and comply with all aspects of employer-employee relationships keeping in record – maintenance of attendance logs, records of overtime wages, filing of annual returns, providing hygienic and health support to labour etc. With increasing interaction of both employer and employee the scope of labour laws has been regulated since years, from a height of work space adjustments to hiring of official inspectors for declaring fines for violation of labour laws and regulations. The following laws need to be accommodated by each business venture..
At MN & Associates, We strive to involve the best industry professionals to dedicate their core diligence in handling all issues related to regulatory and legal aspects of employment laws in Delhi. We assist our clients in their day to day legal issues involving compliances, statutory filings, obtaining permissions from regulatory authorities relating to employment. We always choose a practical and focussed approach of advising our associated patrons, to ensure their talent retention and all human resource strategies work well on time. As a recognised legal consultant entity in Delhi, we provide all round legal expertise in all labour and employments laws enacting proper following of provisions stated under Industrial Dispute Act 1947, Trade Union Act 1926, Minimum Wages Act 1948, Payment of Wages Act 1936, Factories Act 1948, Payment of Bonus Act 1965, Equal Remuneration Act 1976, Payment of Gratuity Act 1972, Workmen’s Compensation Act 1923 etc. We always assure to assist our clients with all professional repo, we built out of several successful engagements with various regulatory departments and officials in Delhi. Drafting and vetting of Employment Agreements, Appointment letters, Termination Agreements, Non – competition agreements, Non – disclosure Agreements and other confidential agreements. With an efficient and reliable network of business experts in Delhi, We endeavor to built a client specific route for dealing with requested queries. Having good number of business houses in an around Delhi, we commit our operations to work in a transparent manner to wave our improved ways of dealing and get recognized among the best financial consultants. Other than this, guiding and mentoring new business ideas we serve them expertise in initiating their new business prospects, filing their labor laws compliances in Delhi, managing their corporate relationships with their associates, filing GST and other tax compliances, simply to say we cover all such business queries we feel to be challenged with.